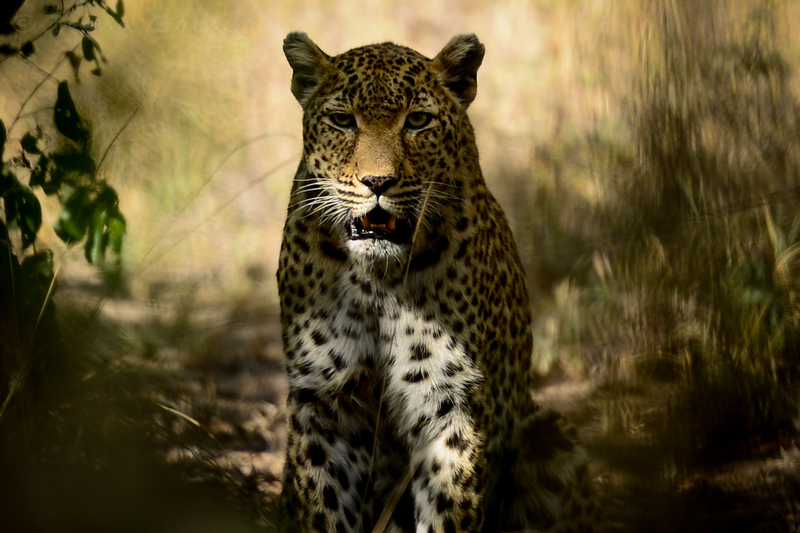 Ok, now on to the gorgeous Leopards! Below, we are doing a night safari. 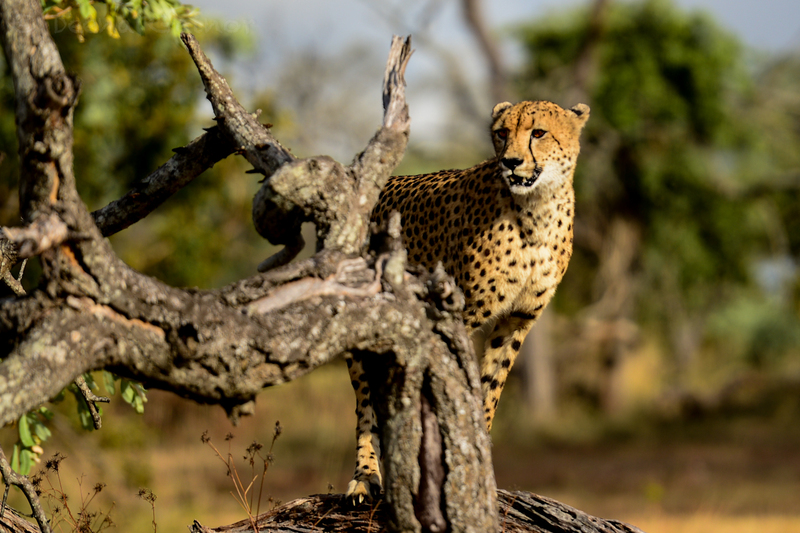 It was our very first one at Kapama and I didn’t have high hopes that we would spot any Big Cats. 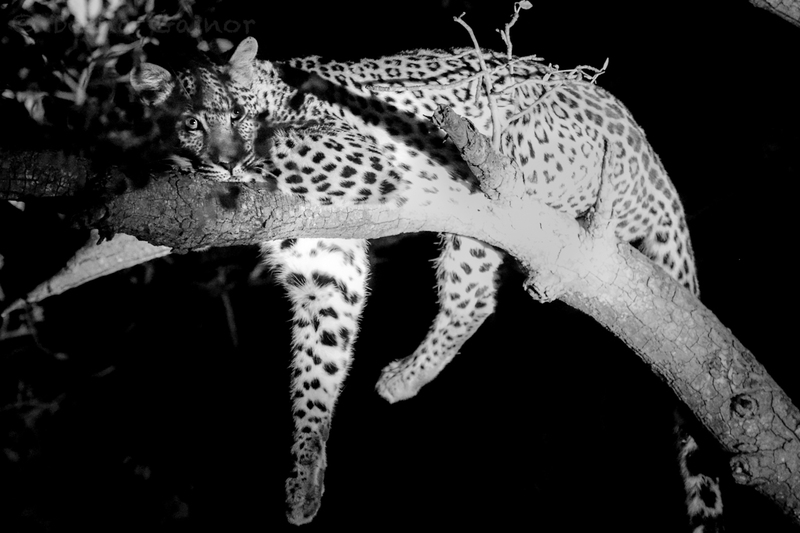 It’s especially difficult to spot a leopard hiding in a tree in the middle of the day, as they blend in so well. Try spotting one at night! But it happened and we felt incredibly fortunate that this one was spotted. We were awed by its beauty and sleekness. The photos below were taken within an hour of spotting the beautiful guy above, getting ready to nap. 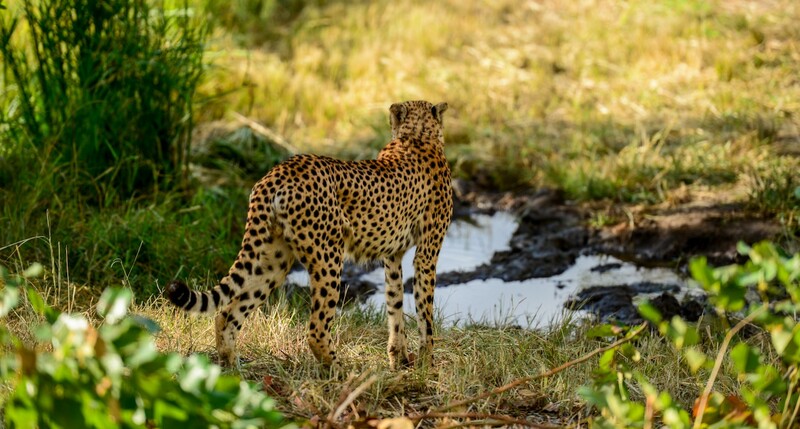 We caught this second leopard cautiously quenching his thirst at a small stream just a short distance away. The night was extremely dark, almost inky black, and I wasn’t able to capture a photo of this beautiful site, but we were able to find him just a few moments later, settling in for the night. He was just beautiful and we could have stayed and watched him for hours, but unfortunately, dinner was calling. As cool as the leopards are, when you have tired and hungry teens, food takes precedence. Our last spotting happened accidentally, and unfortunately, the kids were not with us. Ryan and I had taken a few hours to do a few safari camp site inspections. As we were returning from our appointments, we spotted this beautiful leopard! We couldn’t believe it. He was less than a minute from the entrance of our camp. We watched him for a little while, but decided to return to camp, and get the kids, hoping he’d stay put. Unfortunately, by the time we returned, he had disappeared. At least we had gotten a few images to share with the kids. 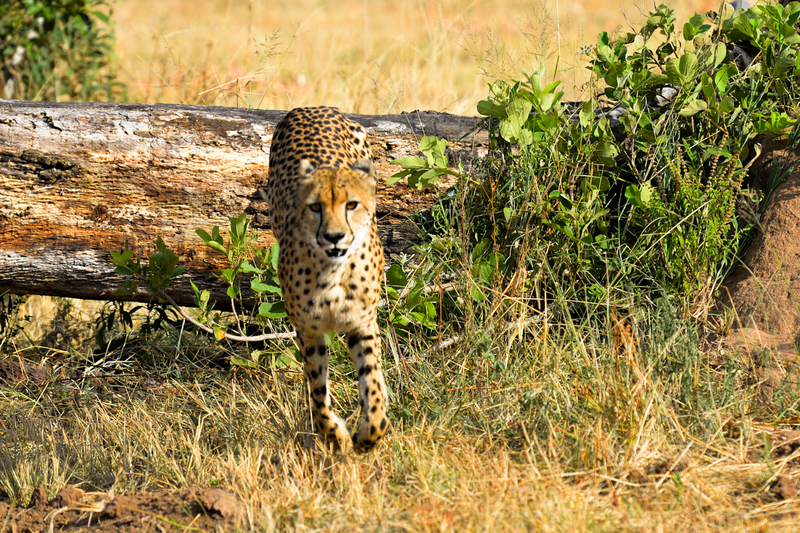 And now the Cheetahs at Sabi Sabi. This guy allowed us to observe him for almost 25 minutes! He was actively hunting, pacing back and forth, ears and eyes alert to any sound, movement, or smell. I was surprised that he stuck around as long as he did, but it was a privilege getting to watch him. And then suddenly, he was gone! He leapt off the log and took off, sprinting into the woods. We had no idea what he had seen or heard, but we knew he was after something. We were all so curious and tried to follow him, but he had literally disappeared. The timing was perfect, though, as it was time for us to return to camp for breakfast, pack up, and head to the next location. But wow…what a way to say good-bye! Thank you, Sabi Sabi, Kosie, and Dollen for such amazing memories. What can I say? These guys were beautiful! One of our favorite trackers was Dollen. We loved how excited he got when he spotted something. 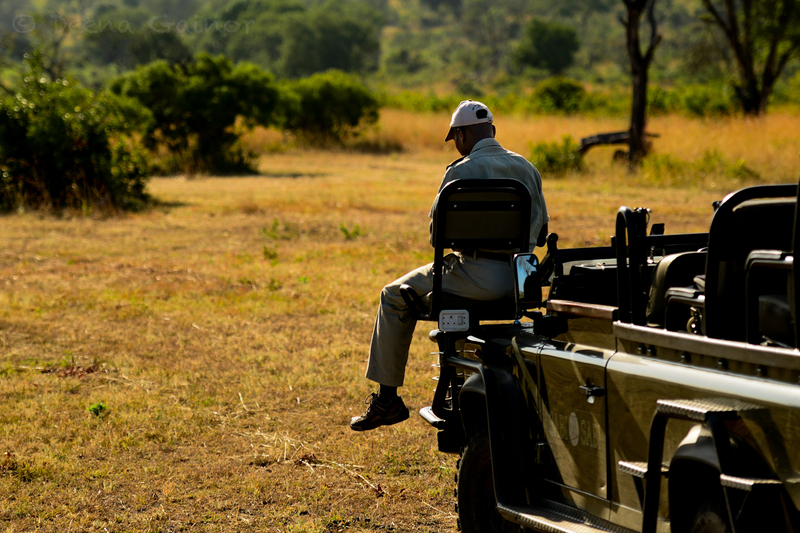 He and Kosie, our wonderful and knowledgeable guide, really made our time on safari special. All of safari is special, but I have to confess I love Cats most of all.